Ok I lied. This is the final book review for the year. And what a book. If you what to live through a zombie apocalypse, or a major disaster, this is the book to read. It is not a survival book. There are no diagrams on how to light a fire or build a shelter. 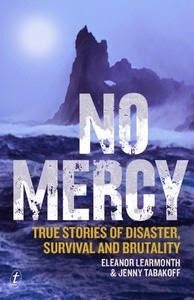 This book is all about the physiological and social nightmares that you face in a disaster situation. Eleanor Learmonth and Jenny Tabakoff have analysed real life survival stories to explain how people behave and react. And it is not good. Using the William Golding book Lord of the Flies as a benchmark, they have created their own set of survival principles. The last one is the key one to remember - In the long run there is only one rule: self preservation. In addition to the survival stories, the authors also refer to clinical research studies to support their views. One particular research study is the Robber Cave Experiment, the results of which were published in 1954, the same year as Lord of the Flies was published. Bizarrely they mirror each other. In the Robber Cave Experiment, two groups of 11 year old kids where taken into a remote summer camp and let loose with little parental control. The researchers then manipulated the kids so that they ended up fighting each other, while the researchers stood by to document it all. Wasn't the 50's wonderful. You could experiment on kids and the homeless and no one considered it ethically wrong! Anyway, things spiraled out of control very quickly with the kids. Unarmed physical violence occurred within 24 hours of the two groups making contact. One group even carried out a night raid on the other group's cabin, The attackers painted their faces commando style, posted guards at the cabin doors so none of the victims could escape, and basically smashed everything up. The researchers finally stepped in when the kids started arming themselves with weapons. Remember these are 11 year old kids from good families in a non survival environment. And people complain about the youth of today. The book documents the spiraling descent into madness that can happen to a group in a life and death situation. From eating those that have died of natural causes to the next step of killing others to feast on. Then the final stage of madness. Thrill killing until there is just one man left standing. This can happen even when you are living in tropical paradise, as happened with the mutineers of the Bounty when they settled on Pitcairn Island. Finally the authors wrap up looking at Post-Traumatic Stress Disorder and the other scars that effect those who do survive the ordeals. It sounds gloomy and there are some truly horrifying examples of what average people can do. The good news is that those groups that manage to hold themselves together and work cooperatively have the best survival rates. Once individuals start thinking only of themselves, the body count skyrockets. Eleanor Learmonth and Jenny Tabakoff do provide some tips on how to keep your group together. So this book is worth reading if you want to be prepared. Or morbidly entertained. Or if you plan to write horror stories - you will notice some the themes have been used in horror movies and The Walking Dead. Also buy the book as the authors are Australian!